Six consultant eye surgeons from Moorfields Private have been identified as some of the best in Britain in a guide produced by The Daily Mail. More than 40 leading consultant ophthalmologists from around the country were surveyed to find out who they believe are the top cataract surgeons and considered amongst the best in their field. They were asked this simple question: ‘If your own nearest and dearest were to need treatment in your field, to whom would you refer them — and why?’ The consultants with the most votes from their peers are those who made it into the Good Doctors Guide which was produced to help patients choose the right specialist for them. 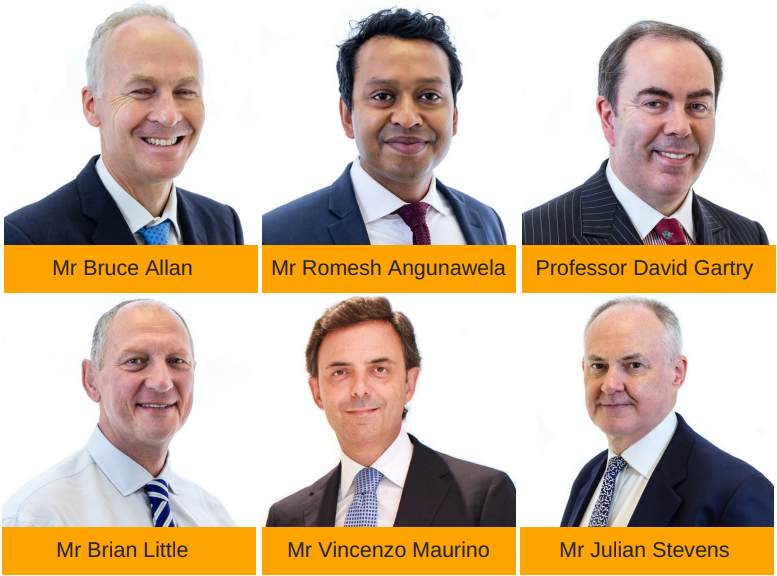 Included in the guide of top cataract surgeons are Mr Bruce Allan, Mr Romesh Angunawela, Professor David Gartry, Mr Brian Little, Mr Vincenzo Maurino and Mr Julian Stevens. Although this list recognises the excellent skills of these surgeons, patients should bear in mind that this is not a scientific study and all Moorfields Private specialists who didn’t make it on to the list are highly qualified and spend every day of their working life making a real difference to patient care. Moorfields Private is the private division of the world-renowned Moorfields Eye Hospital NHS Foundation Trust. Its financial surplus is re-invested back into Moorfields to support NHS services.